By using the common hypervisor technology developed by DornerWorks on multiple platforms, early application development can be done in a PC environment with relatively good modeling of the final target’s behavior. This paper covers three topics. 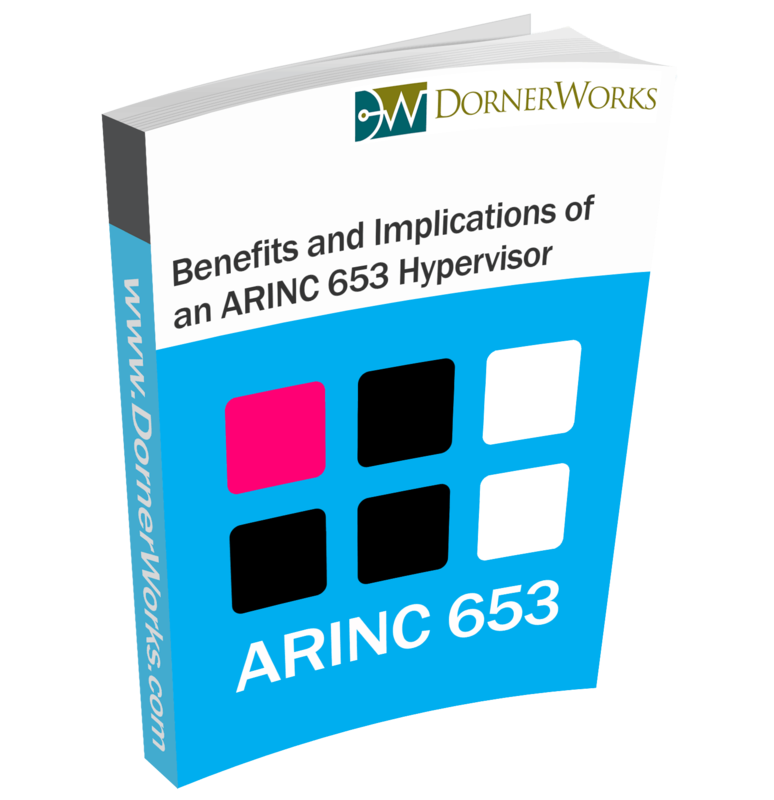 First, we start with an overview of the ARINC 653 standard, which is important because it reduces development costs, reduces system weight, and lowers certification costs. The standard focuses on resource partitioning of time and space on an avionics computer, managing the three primary subsystems of the computer: Central Processing Unit (CPU), Memory, and Input/Output (I/O). Second, we will review virtualization technology, an established method of sharing a computing resource, considering it for adaptation to ARINC 653. Third, as a case study, we will examine our prototype implementation of the ARINC 653 standard using the Xen open source hypervisor. We conclude with a discussion of our plans for future work towards ARINC 653 simulation and development environments on both PC desktop and embedded targets.